Do you ever wish you had a flying hoverboard to get you to work? Or a garden full of fluffy, playful kittens? Or maybe a 20-foot long table covered in pizza and energy drinks? 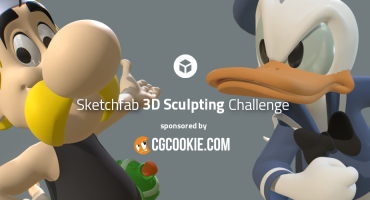 This Sketchfab challenge is your chance to make all of your wishes come sort-of-true. Design whatever comes to mind when you fill in the blank at the end of sentence: “I wish I had a ___”. Simple or complex, realistic or far-fetched…it’s up to you! As an added bonus this week, we have extra prizes courtesy of Aryzon: each of the top 3 entries will get an Aryzon AR Headset. With the headset you can view any (downloadable) Sketchfab model in 3D Augmented Reality, and explore it in your real environment as holograms. We see so many awesome models on Sketchfab that deserve to be discovered. Viewing them in the AR gives a new dimension to them and can be really fun. We are exited to see what the community will create for this challenge, and look forward to explore them in 3D Augmented Reality! TL;DR: Create a model of something you might wish for using your preferred tools and workflow, upload it to Sketchfab and tag it #ARChallenge. Submit only new work, but feel free to submit multiple models or scenes. We suggest your model or scene must be under 100k polys and the texture should be no more than 4096 x 4096. Bonus points if you place your model in AR using the Sketchfab mobile app for iOS and Android and take a cool screenshot or screen video of it. Add the image or a link to the video (or an animated GIF) to your model description. Once you’ve created your scene, upload it to Sketchfab and tag it #ARChallenge. Share work-in-progress, tips and ask for advice on the challenge topic in the forum! 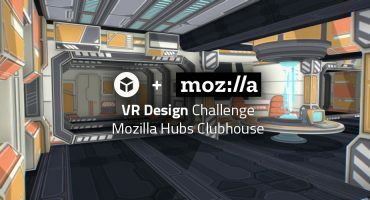 Each of the top three entries will receive an Aryzon AR headset, with the overall winner taking home $100 Amazon voucher plus 3 months of Sketchfab PRO. 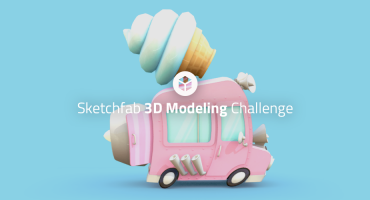 Contestants’ models must be uploaded to Sketchfab and tagged #ARChallenge to be considered. The winners will be contacted by Friday, November 30th.